Everything just keeps on getting better as the days go by. Technology always has a surprise in store for all of us. We just get immersed deeper and deeper into the wonderful world of the web with each new technology that comes out. Whether it be smart technology, social media, various games and apps, and many other digital services that make our lives easier and better, using these devices to access the web is already ingrained to our daily lives. Along with this increased reliance on technology and fondness for the endless entertainment it brings to our lives comes issues with storage. Of course, your device has a limit to the number of apps you can download or the number of videos and photos you can save. Technology also has the answer to this problem. Storage devices have grown in capacity too. Whether it is a built-in hard drive or an external device like a flash drive or an EHD, the storage capacity is pretty mindblowing now with the latest hard drive from Ultrastar with 15TB capacity. Step aside, boring 14TB hard drives. There’s a new storage champion in town: Western Digital has announced a new 15TB Ultrastar DC HC620 HDD that takes the crown as the biggest hard drive yet, via SlashGear. The new drive beats out Western Digital’s 14TB model that it announced last year and Seagate’s recently announced 14TB lineup. Seagate did announce last year that it was planning to release a 16TB drive in 2018, which would have topped the old 14TB drives as well as the new 15TB Ultrastar, but there hasn’t been any word on the 16TB drive since that initial announcement. You can download and save as many files as you want with a storage capacity this big. There is a catch, though. This new device is not yet available in the market but when it does become available, it is not something that you can use personally because such a storage solution is often geared for enterprise networks. You can expect that it won’t come cheap too but it is a small price to pay for the additional storage it offers. Western Digital expects the new 15TB drives to be used to store video footage captured by smart city 4K surveillance cameras, which can produce about 28TB over half a year. As with the 14TB hard drives, the 15TB hard drive uses host-managed SMR (shingled magnetic recording), a method of writing data to disk that is slow but also allows for greater density. It's suited to workloads that require sequential writes and, aside from video surveillance, it could be useful for object storage and cloud services. Different businesses can benefit from this increased storage. For instance, video surveillance eats up a lot of memory especially for 24/7 security monitoring and having a hard drive with at least 15TB memory can save and store months’ worth of video surveillance for your monitoring and peace of mind. Even companies that offer cloud services can benefit from the biggest hard drive to be soon released into the market because the popularity of the cloud is rising among computer users. Saving on the cloud is a good form of a backup plan without having to spend more money on additional storage devices that may still get corrupted or remain vulnerable to natural disasters. Servers, in particular, will likewise work more efficiently with a bigger storage capacity. As big as it may seem storage wise, all hard drives remain the same. They contain moving parts that are prone to wear and tear over the years and can ultimately break down leaving you stressed because of all your lost files. 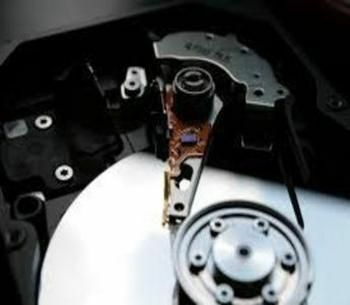 Data recovery is a vital service to get your lost data back and help you overcome problems like https://www.harddrivefailurerecovery.net/fixing-hard-drive-errors/ and https://www.harddrivefailurerecovery.net/hard-drive-broken-how-to-recover/ that are experienced by the majority of computer users.